With Christmas and the gift season fast approaching it is a good idea to consider the use of jewellery presentation boxes and pouches for the display and selling of your jewellery. Not only do they enhance the beauty of your jewellery pieces but they also help increase your sales. Your customers would be more inclined to buy your jewellery as a gift at this time of the year and so it would be a good idea to sell your jewellery in a nice presentation box. Not only would the box pro tect the jewellery piece, but it also allows your customer to present it as a gift. 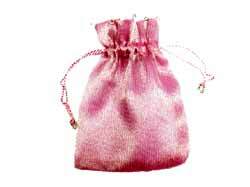 When pricing your jewellery make sure you include the cost of any presentation boxes or pouches into the final price. Display materials need not be expensive, you can find great value and quality jewellery presentation boxes at internationalcraft.com .